I've finally started reading that ever so controversial best-seller by Dan Brown. Actually, not reading it, listening to it while driving around Lansing, MI. This book seems to have changed the minds of many Catholics (my grandfather included) and Protestants alike. Granted, there have long been rumors of secret societies and organizations within the Roman Catholic Church, and historical cover-ups are rampant throughout civilization. The book is crap. It's not at all well written. Brown seems to feel that in order to impress the mystery of the supposed Holy Grail conspiracy upon his readers, he must be repetitive and condescending. It almost seems that the whole purpose of the book is to tell the world how much Brown knows about obscure art history and symbology, and that he is willing to explain it to the teeming masses of uniformed Christendom. His constant use of cliff-hanger chapter endings (almost every chapter) makes the novel read like it was originally intended as a serial publication. Much of Brown's story hinges upon the loss of the Sacred Feminine, and yet his main female character (a cryptologist for the French police) is constantly having to be led clue by clue to obvious conclusions by her quicker, more worldly, male counterparts. I might have put some stock into Brown's "history," he writes with conviction, if not much style. I may even have looked into some of his sources on my own. Today, though, Brown completely lost any stock I would have put into his actual knowledge. He referred, multiple times, to Jesus Christ as the Immaculate Conception. As every half-informed Catholic knows, Mary was the Immaculate Conception (conceived without sin), Jesus was the Miraculous Conception (conceived by the power of the Holy Spirit). How this novel came to be as popular as it is, I can understand. Everyone today is dying to get to the big TRUTH, something which can never be done in religion. Faith is by definition something that is unsubstantiated, we must just believe. What I can't understand is how people can believe this absolute drivel. I agree that there's a reason that type of novel attains "success, acclaim, and sales." It's because people want to read fluff. No one wants to work for meaning anymore. Why do you think Dean Koontz is so popular? Right and only the obscure and unnoticed can be acclaimed. no chance you would have written this review had it become such smash success. This by no means was fluff, it's well-written and not a guilty pleasure beach read you write it off as. I agree. Well written review! Thats just stupid. 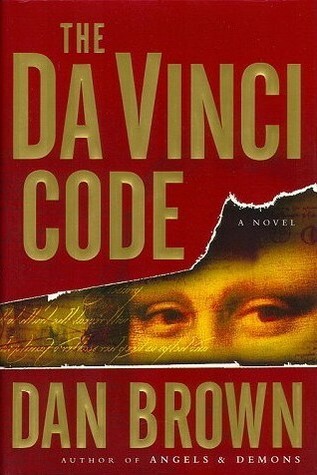 Its stupid to hate the Da Vinci Code. This book was indeed fluff, and quite frankly, I'm quite surprised anyone is taking it seriously. It was a fun weekend diversion, but nothing profound or Earth shattering, unless you are on a steady diet of JK Rowling, John Grisham, and Dean Koontz. I guess you could say it's stupid to hate The DaVinci Code, but only because it's just a dumb pulp novel and not worth the effort of hating. It's too silly of a book to hate. But it's perfectly logical to hate the asinine hype the surrounded this silly, pulpy book for so long. At least John Grisham and Dean Koontz are somewhat entertaining pulp writers. Still, I can easily believe that people loved this book, because I can turn on the t.v. and see COPS day of the week. If there's a place in the world for COPS, then I suppose there's a place near it for The DaVinci Code. I don't think that Americans are stupid, but I do think that people mostly aren't taught how to think critically. As a result, I think people are conditioned to accept and even embrace a lot of dross, while those who don't are accused of being elitists. Well written review!! Thank you! I also think it's a piece of crap. even if the book was bad the question still remains for everyone to take a stand. @Zeeshan: I'm not exactly sure what you mean. What question are we taking a stand on? Written for the purpose of making money I think is unreasonable . "The book is crap. It's not at all well written." Who are you to declare it's not badly written? Actually, it's her opinion that the book is crap, and not well-written. In a book review, the idea that these are one person's opinions is implicit. However, I have to agree with her. I thought the book was poorly written as well. An opinion would be: I didn't like the style of writing. Saying "the book is badly written" is NOT a mere opinion. Well this book it got me to read it out of curiosity and I am grateful for that. As with music there are all sorts for different moments, the same applies for literature. I am hereby relieved of my public duty to make fun of Dan Brown. The above article says everything that needs to be said. In fact, the Priory of Sion myth was invented by an arrogant anti-Semite called Pierre Plantard and debunked long before Brown swaggered onto the scene. Oh, listen to audio books all the time. I'm not religious, and I know that Mary was the Immaculate Conception! And art historians have debunked much of what Dan Brown writes in "The Da Vinci Code". The writing is horrible.